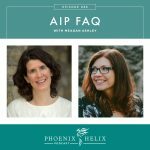 In the last episode of the Phoenix Helix podcast, Dr. Sarah Ballantyne covered the science behind the paleo autoimmune protocol (AIP). Today's episode is all about practical implementation. I'm joined by two AIP experts. Both of them have used the AIP to reverse Hashimoto's and celiac disease. 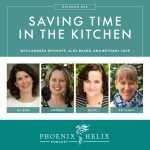 Mickey Trescott is one of the bloggers behind Autoimmune Wellness and Christina Feindel is the blogger behind A Clean Plate. Together, we share our best advice for getting started on a healing diet, how to set yourself up for success, what resources are available to help, and how to stick with the protocol when temptation hits. 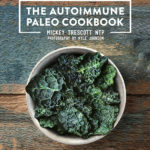 Mickey Trescott is a nutritional therapy practitioner, the blogger behind Autoimmune Wellness, and the author of the Autoimmune Paleo Cookbook. She has Hashimoto's and celiac disease. At her worst, she lost her job, was homebound, felt faint whenever she stood up, had slurred speech, bodywide pain, and thought she was dying. Now, after 2+ years on a healing diet, she works full time, has loads of energy, feels strong and healthy, lives on a farm, and feels happy and hopeful again. Healing didn't happen overnight – it was slow progress – and she kept a journal to mark the improvements. 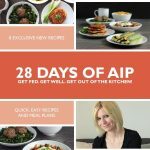 Christina Feindel is the blogger behind A Clean Plate, the author of the meal plan: 28 Days of AIP, and host of the YouTube Channel: The Autoimmune Connection. She also has Hashimoto's and gluten ataxia – a form of celiac disease that affects the brain and is often misdiagnosed as MS. At her worst, she lost her job and many of her friends, due to her inability to function. She had daily migraines and neurological symptoms, and eventually felt suicidal. After just 2 months on the AIP, her symptoms improved dramatically. Now, she is happy, social, energized, healthy, and has a demanding job she absolutely loves. Both Mickey and Christina were vegans before going paleo, and eating meat again made a major difference in their healing. Some favorite paleo books: Paleo Manifesto, Eat the Yolks, and Practical Paleo. 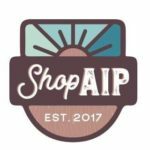 Some favorite AIP blogs: The Paleo Mom, AIP Sisterhood, and A Squirrel in the Kitchen. 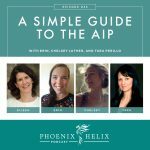 Some favorite AIP books and resources: The Paleo Approach, SAD to AIP in SIX, AIP Recipe Roundtable, AIP Inspiration on Instagram, and Reintroducing Foods on the AIP. Update: since this podcast aired, many more excellent resources have been published. You can see a summary of them here: The Great Paleo AIP Book and Cookbook Roundup! We share our personal experiences, positive and negative, regarding the support of people in our lives. We talk about how our households are set up food-wise. Dr. Terry Wahls finds that her patients are much more likely to succeed on a healing diet if the household agrees to keep unsafe foods out of the house. However, if that's not an option, Slightly Lost Girl has some great articles on how to live with someone who continues to eat the foods you can no longer eat. Internet support groups: The Paleo Mom Community Website, Facebook Groups: Autoimmune Paleo Recipes and AIP Support. There are also a growing number of local meet-up groups for people following the AIP, who have pages on Facebook to coordinate events. Here's a current list. Be careful of joining disease-specific groups that are not focused on healing. Often, these groups are places where people share their fears and worst symptoms, without seeking solutions. You want the groups where you'll find inspiration, motivation and support. Batch cooking – Mickey has a free video on YouTube as well as a video tutorial with recipes and meal plans. One pot meals for quick and complete dinners. Resources: The Paleo AIP Instant Pot Cookbook and 28 Days of One-Pot AIP. Meal planning a week in advance. If you forget to defrost your meat, try the hot water bath method. We share our favorite ideas for breakfasts and quick lunches. Some of our favorite on-the-go snacks: jerky, raw veggies, Bison Epic Bar, and pouched salmon/tuna. Listen to Episode 55 for more time-saving tips. There's also a new AIP cookbook: 30 Minute Meals for the Paleo AIP. 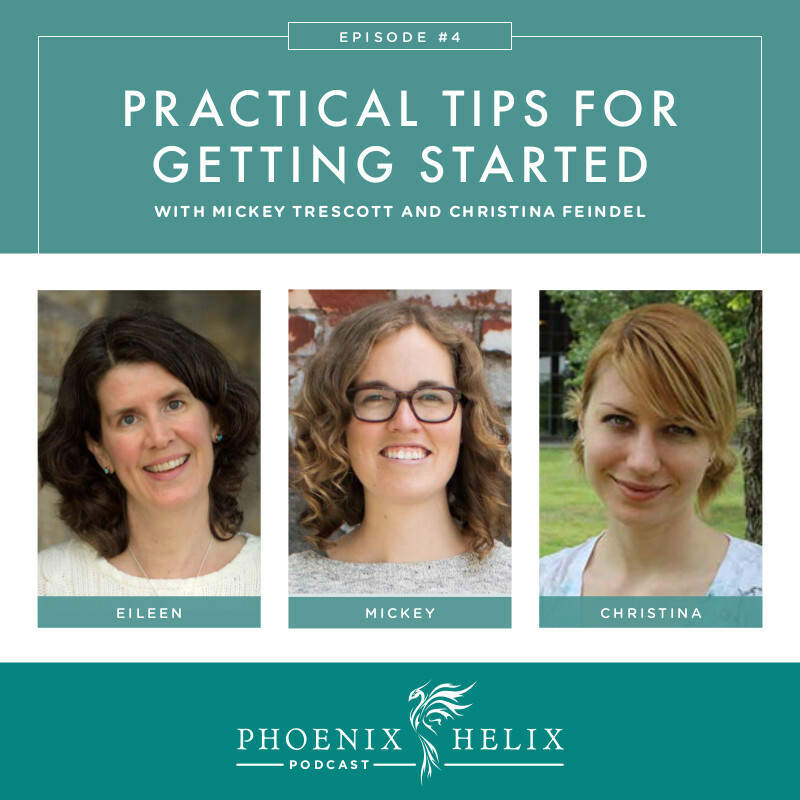 Set yourself up for success by following the tips shared earlier in the podcast. If you “fall off the paleo wagon“, don't use it as an excuse to stay off long-term. Forgive yourself, and get back on. Keep in mind the power of food over your health. You don't want to kill yourself slowly. Healing is an act of self-love; you are worth it! Presentations by 40 experts on reversing autoimmunity. Register now, and you'll receive an email reminder when the event goes live, and notification of each day's topics. Follow Mickey through her website, Autoimmune Wellness, and Christina through her blog, A Clean Plate.